And in the discussion of who could replace Cantor as House Majority Leader, one Inland Northwest name kept coming up: Spokane’s U.S. Rep. Cathy McMorris Rodgers, the fourth-ranking House GOP leader. But Rodgers quickly informed curious minds that, this time, she wouldn’t be pushing for a promotion. Instead, we political speculators should have been looking just across the border to the east. 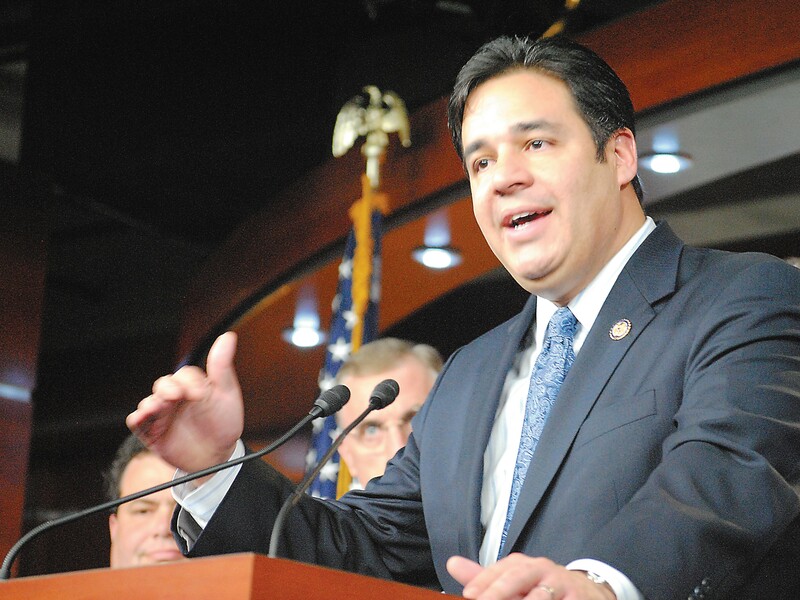 This morning, Idaho U.S. Rep. Raul Labrador announced he’d run for Majority Leader. He’ll face off against Rep. Kevin McCarthy (R-Calif.) – the guy who currently holds the House of Cards role of House Majority Whip. It wouldn’t be the first time Labrador has won support for a major leadership role. Rep. Justin Amash of Michigan voted for Labrador as Speaker of the House, as a sort of protest vote against incumbent John Boehner, who had kicked Amash off the House Budget Committee. We’ve written about Raul Labrador several times, as he shaped up to be one of the most interesting players of the crop of tea-party-wave congressmen. Here’s our blog where Labrador explains why he did not vote to re-elect John Boehner for speaker in 2013. The very conservative Labrador has clashed with Boehner multiple times – he’s criticized Boehner for not taking a stronger stand when negotiating with Obama. During the government shutdown in October, however, Labrador praised Boehner for standing his ground. Labrador has supported giving a higher percentage of visas to immigrants studying math and sciences. He dropped out of a bipartisan group immigration group last year, complaining about language over health insurance, but more recently floated a proposal that would loosen penalties on deportees. In an interview last year, we asked McMorris Rodgers about the contrast between Cantor and Labrador. Last year Labrador helped stop Cantor’s bill that would have established “high-risk pools” for those with pre-existing conditions, as a sort of Republican alternative to Obamacare. More recently, Labrador endorsed Russ Fulcher over incumbent Gov. Butch Otter in the primary (Fulcher had a pretty good showing), chastised controversial Texas rancher Cliven Bundy, and told people to stop attacking the family of recently freed hostage Sgt. Bowe Bergdahl. Robert Costa, formerly on National Review, now of the Washington Post, has been one of the most plugged-in reporters to Republican national politics. He characterizes Labrador as a “long-shot” and reports considerable hesitation and delay for tea-party Republicans to jump in the majority leader race.